And also extremely hot and steamy! Everything is growing so fast you can almost hear it. The peacocks are having second families, in fact lots of birds are nesting again. The roseate terns and royal terns have left, but there are still night hawks around. 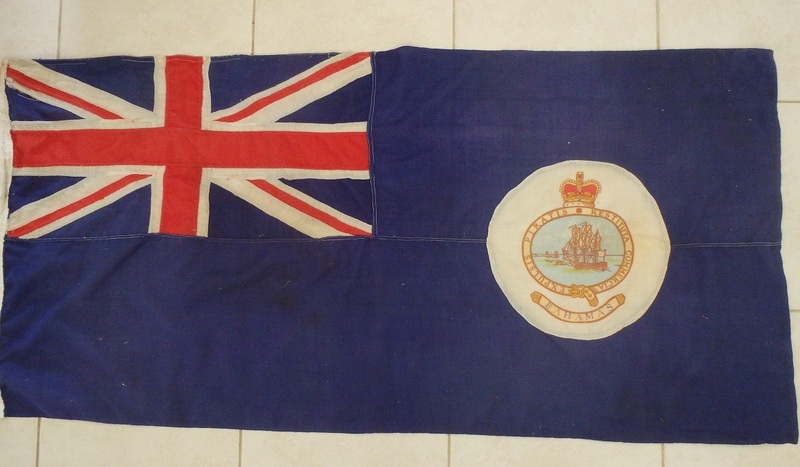 Ben and Anja found this old Bahamian flag on the internet. Apparently it used to decorate the wall of the island shop. The motto translates as ‘Pirates expelled, commerce restored’, which is particularly appropriate for us!